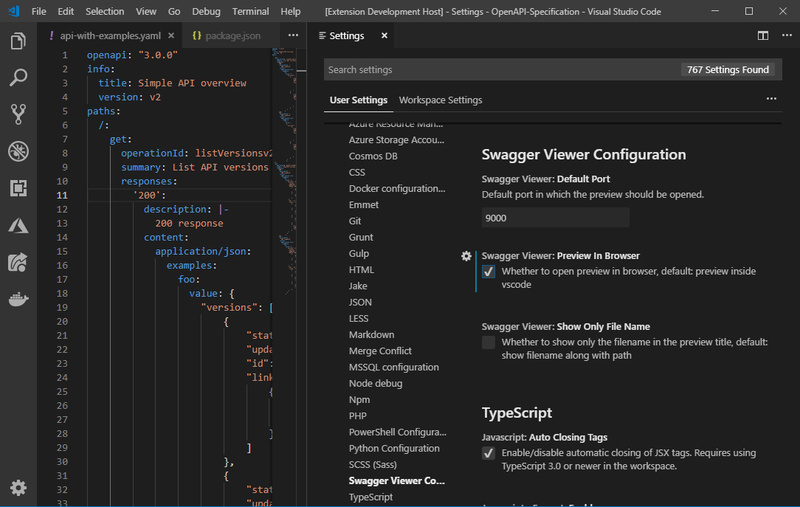 Visual Studio Code>Other>Swagger ViewerNew to Visual Studio Code? Get it now. 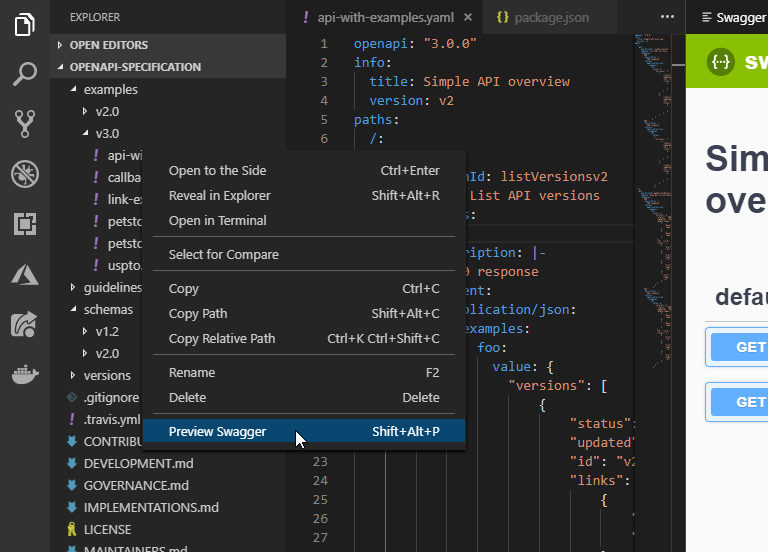 Swagger Viewer lets you preview and validate Swagger 2.0 and OpenAPI files as you type in Visual Studio Code. It works on swagger files in json and yaml format. Preview and validation happens in real time as you type. Open the swagger file and press F1. Run the Command Preview Swagger. Preview will be automatically opened in default browser. 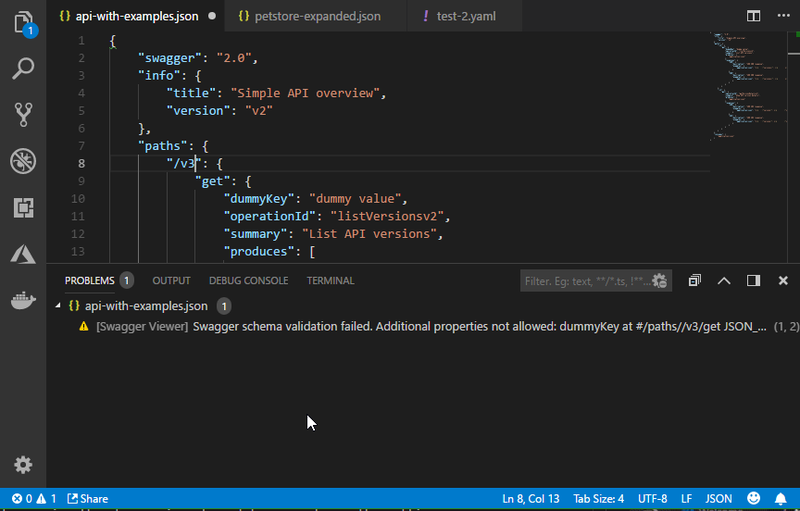 Swagger Viewer validates your documents against Swagger 2.0 and OpenAPI specifications. If there are any issues it will be shown as a warning in the problems panel. Right now only one validation error will be shown even if there are multiple issues. Validator still gives a warning on relative paths. Will be fixed in next version. Fixed issues with parsing yaml due in yamljs library. Changed to js-yaml library. Fixed issue where validation errors are not cleared in yaml file. Fixed - Preview window in vs code not switching to latest file. Added - File name in preview window to identify which file is in preview. Added - Ability to change default port from User/Workspace Settings.